I am a big fan of action games and for a long time now I have wanted to play Ninja Gaiden. Unfortunately for me it never released on a console that I owned. Last year however Tecmo Koei was nice enough to port Ninja Gaiden Sigma on PS Vita. The vita version is a port of a remake of the original game. Renamed as Ninja Gaiden Sigma +. For the most part the game is the same as the Ninja Gaiden Sigma but there are some vita specific enhancements like the ability to control bow with the touch screen and use the rear touch pad for ninpos. Anyway even though the game was ported to ps vita I still did not get it due to one reason or the other. That is until this month when Tecmo decided to release the game for free on ps+. I was overjoyed and instantly downloaded the game and today after almost a week I managed to finish it. Here is a short review of the game. Ninja gaiden tells the tale of Ryu a ninja whose village has been destroyed by Doku. Ryu now seeks to exact his vengeance and destroy Doku. Over the course of the game new characters are introduced and there are some diversions in the main story line. The story is told with the help of written text and some very detailed cut scenes. It is nothing to spectacular though. Most of you will probably see the "twist" coming a mile away. What is spectacular about Ninja Gaiden however is it's combat. Ryu's movement is silky smooth. It is a joy to maneuver him around the battle field while dodging attacks and performing combos. By default Ryu is equipped with his trusty dragon sword which is a versatile weapon. As the game progresses however Ryu's arsenal grows more formidable ,as he acquires more weapons. The melee weapons are all well balanced and you will find use for all of them. For example initially I was not much impressed with the vigoor falil however it proved to be indispensable tool during the last stages of the game. The projectile weapons leave a lot to be desired. The shuriken and it's variants are completely useless save for some sections where you have to use them to progress to the next area. The bows are useful but not much. You will spend majority of time with the closed ranged weapons so it pays well to master them early on. Whichever weapon you prefer the basics of the combat are the same. Block, block and block. You won't survive if you go out in the battlefield to show off your flashy combos. Ninja gaiden is all about blocking and timing your attacks. Sure different weapons behave differently. Lunar is best when you are dealing with lots of enemies together. Dabilahro is suitable for dealing with predictable patterns so you can charge and unleash. Still a large part of combat will be about dodging enemy attacks. Some might get turned off by this. But believe me every battle you win feels like an accomplishment. There is tight platforming as well. Ryu can jump, run on walls ,climb ledges. Basically he can do all stuff that a ninja does and more. The platforming aspect of the game like it's combat is a very satisfying experience. There is never a moment when you feel overwhelmed by your surroundings. When you learn more advanced techniques like wall run jump you can easily get every treasure in the game. Another significant section of the game is challenges. During the main story mode you will get a chance to participate in challenges that require you to defeat a large burst of enemies. An unprepared attempt can lead to death. However if you manage to beat the challenge you are rewarded with a treasure. It adds a good risk vs reward dynamic to the game. There are some problems with the game however. Certain boss fights are cheap (I am looking at you paz zuu) and may require some luck for you to beat it. At times you might also get lost and unless you have acquired a map of that area it can be a challenge to go to your next objective. These are however minor inconveniences that should not stop you from getting the game. 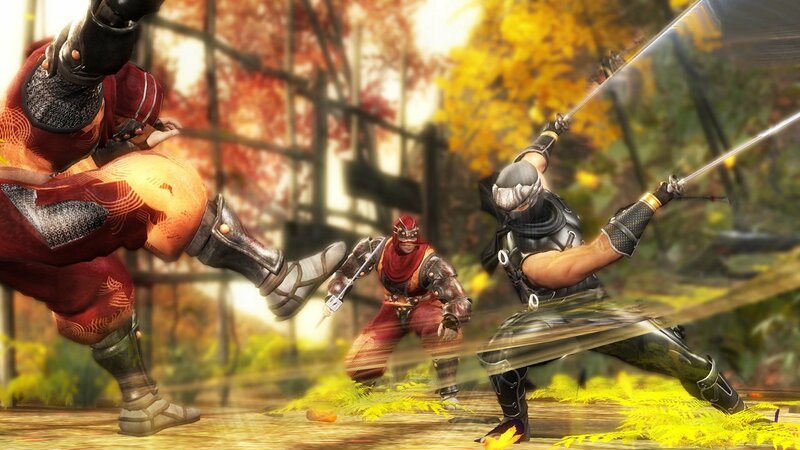 Ninja Gaiden sigma is one of those games that make me love remakes on handhelds. If you are a fan of action games and have not already played Ninja Gaiden then you should get this game.